I’m a PC gamer and I have the weird callus to prove it. However, local multiplayer is too good to give up completely. I like playing games on the TV with friends 6 Video Games With Fantastic Local Multiplayer For Dorm Room Gaming 6 Video Games With Fantastic Local Multiplayer For Dorm Room Gaming There are still some titles that faithfully provide an excellent couch experience for multiple players. They either allows for up to four people to play at once, or provide an entertaining enough experience to keep... Read More . That’s why I was so excited when I first heard the Steam Machine announcement. It sounded like the best of both worlds Is SteamOS a Good Choice for a Gaming System? Is SteamOS a Good Choice for a Gaming System? Can you rely solely on SteamOS with good performance, or should you still keep that dual-boot with Windows? Let's take a look. Read More – PC gaming, through an interface designed for the couch, played on custom, touchpad-based controllers, on hardware made by leading PC manufacturers. What’s not to like? 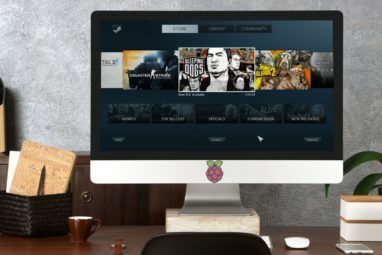 Unfortunately, in the months since their announcement, the Steam Machine train Steam Now Has Music Integration For Big Picture And SteamOS Steam Now Has Music Integration For Big Picture And SteamOS There are dangers to leaving your gaming window to change songs; Valve is looking to help you out with their latest update to SteamOS and Big Picture. Read More has gone a little off the rails. The crazy controller has been scaled back to something a little more conservative. A number of employees in Valve’s Steam Machine division have been poached by Oculus. 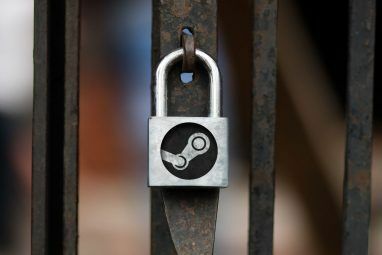 Enthusiasm for Valve’s linux-based SteamOS has faltered. And the hardware itself, meant to ship in 2014, is nowhere to be seen, five months into 2015. But let’s say you want to enjoy PC couch gaming right now. What are your options? Well, that depends on how much you want to spend. Today, we’ll be running down the options, both at the low and the high end. These are compact machines, built for the living room, that provide a great gaming experience without any assembly. We’ll also be rounding up some tips for getting the most out of your purchase. Syber, a division of CYBERPOWERPC, will eventually be one of the manufacturers of Steam Machines. For now, they ship similar hardware, but running the familiar old Windows that we know and love. Their Vapor computers range considerably in price and capabilities. If you just want to be able to play everything from the last console generation at moderate specs, the $599 Vapor A will do the job, with four gigs of DDR3, a quad core AMD CPU, and a Radeon R9 270. On the higher end, there’s the Syber Vapor X, a beast of a machine that will cost you $1499. It packs eight gigs of DDR3 RAM, an Intel i7, and a 4GB GTX980 GPU. That’s a respectable gaming machine by anyone’s standard, although you pay about a $300 premium for the smaller form factor and pre-assembly. There are a lot of options in between these two, so if neither of these sounds appealing, you can check out their full product line to try to find something more exactly your speed. My only real problem with the Vapor line is the industrial design, which is kind of an amalgam of everything that’s wrong with “tacti-cool” PC gaming hardware. Pointless lights, tron lines, and greebles abound. The Xbox One may look like a VCR, but the Vapor series is a mess visually. Alienware, who is also a licensed Steam Machine partner, has already launched their Steam Machine hardware as a windows PC, in the form of the Alienware Alpha series. These machines start at the low end with a $499 model with four gigs of RAM, an i3, and a GTX 680M+. At the higher end, you can spend $849 for the same GPU, eight gigs of RAM, and an i7. We’ve reviewed the Alpha before Alienware Alpha Review And Giveaway Alienware Alpha Review And Giveaway Tired of waiting for Steam OS? The Alienware Alpha is a $500 console-sized PC gaming machine. Read the review, then enter to win your own. Read More , with generally positive results. 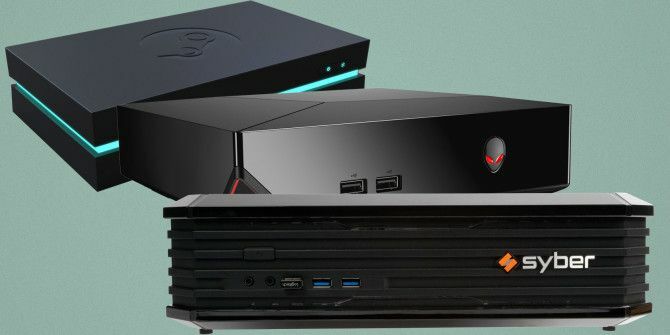 A quick recap: The Alienware Alpha has a considerably cleaner design than the Vapor machine, and looks like something I wouldn’t mind parking under my TV. Unfortunately, all models use the same GPU. This is significantly underpowered, compared to the best gaming PC you could build yourself for $850. There isn’t much here on the high end in terms of real horsepower. A less famous brand than the first two entries on the list, the SBX is, none the less, a contender. The devices start a little cheaper than its competitors, ranging from $399 to $699, the latter doubling the amount of ram and HDD space to eight gigs and one terabyte, respectively. This is the only PC on this list that’s actually cost-competitive with consoles, which makes sense. Consoles are sold at a loss in most cases, and make back the gap through higher game prices. Still, having an option that can go toe to toe with consoles on price point is really nice. I also like the design of the box. It is a shameless PS4 knockoff, but the PS4 is attractive enough that it works. Unfortunately, there’s a really big catch to all this. The page doesn’t mention which GPUs the machines are using, which is not a good sign. If you dig into it a little, you discover that all of the systems run a Radeon R9 250X, which is even a bit weaker than the card driving the Alienware devices. Again, there isn’t much here to justify buying their top-of-the-line machine. It’s not obvious how to get the most out of your living room gaming PC, so I’m going to lay down some basic advice that I’ve picked up from years of doing exactly that. First off: you’re going to have to give up on the idea that you can control your machine entirely through the gamepad. While you can configure windows to boot directly into Steam’s Big Picture mode, it doesn’t quite work well enough to be worth it. Lots of Steam games insist on booting to launchers that require a mouse to navigate. Plus, the operating system produces plenty of alerts that pull you out of the Steam interface. At least until SteamOS comes out for real, Big Picture mode isn’t a total solution to the problem. So, plan to use the mouse and keyboard to navigate windows. Here are some tips to make that less painful. 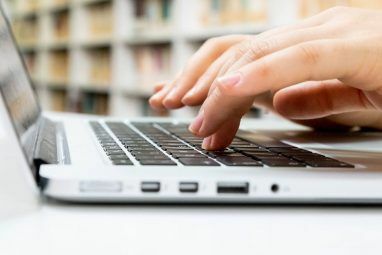 Windows has a bunch of accessibility features that let you make the mouse pointer and icons larger, which makes it much easier to navigate from across the room. You can also pick up a decent wireless keyboard / touchpad combo on Amazon for under $30. This makes controlling your gaming PC feel a lot like using a laptop. Let’s talk controllers: The PC supports a lot of different gamepads. Personally, I’m a fan of the wireless Xbox 360 controllers, but you can also use the PS3 controller, if you use software to rebind it Can You Use Your Controller With A Game That Does Not Recognize It? Can You Use Your Controller With A Game That Does Not Recognize It? You have just purchased a new PC game, you plug in your controller in eager anticipation and … oh, no, not recognized! Don't despair there is a way to solve the problem. Read More . Either way, buy whatever you feel most comfortable with. Now, to really get the most out of local multiplayer, you want four or five controllers. The wireless 360 and PS3 controllers can both cost about $50, so that proposition becomes expensive pretty fast. Luckily, there’s a solution here: cheat your friends a little. You can pick up one nice $50 controller, and then three or four dirt-cheap offbrand gamepads for about ten dollars each. That lets you enjoy couch co-op on the cheap, while still having a comfortable controller for daily use. Finally, let’s talk about the best games to play. Some people will tell you there’s nothing to play on the PC in terms of local multiplayer. The good news? They’re totally wrong. These are just some of my personal favorites for local multiplayer, presented in no particular order, all available through Steam. There are a lot of options available for anyone looking to pick up a compact gaming PC for their living room. There are plenty that we didn’t cover here, because they had a large footprint or an excessive number of customization options. Part of the appeal here is not having to pick through a half dozen components with incomprehensible serial numbers. Still, we’ve run down some strong possibilities already. At the low end, Alienware and iBUYPOWER both provide a good value for the money, and can run pretty much any last generation game just fine, as long as you’re willing to give up a few of the shinier effects. If you want to run current-gen titles on max settings, on the other hand, you’re probably going to want to go with Syber, which scales much better with price at the high end. Regardless of which option you go with, couch PC gaming is an entirely viable option these days, and one with a lot to offer. What do you think? Will you be picking up a living room gaming rig? Waiting for SteamOS to come out? Let us know in the comments! My friend and I are starting a computer company that sells Steam Machines. Our website will be up soon. Our company name is TREV Computing. Borderlands 2 does not have local multiplayer. Not without some crazy mods anyway. My favorite couch coop games aren't very taxing on my hardware, so my laptop serves that purpose well enough. I am not against the idea of the steam machines though! I would absolutely love a small form factor gamepad-controlled GNU/Linux device to plug into my TV. Personal favourite couch coop games are Monaco and BattleBlock Theater. Both games are an absolute riot to play with friends/family.